This elderflower gin has soft scents of juniper, coriander and cinnamon to create a sweet velvety sensation and a fresh, floral bouquet. 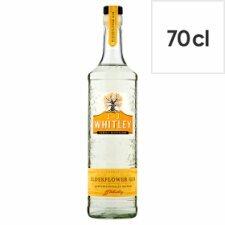 This gin is a delightful balance of bright gin notes and complex elderflower. Perfect in a G & T or simply delightful neat over ice. Tasting Notes: Candied sweetness, dominated by the unmistakeable punch of elderflower with flicks of grassiness, orange blossom and honey. J.J Whitley follows a tradition born of eight generations of distillers and our range of spirits are inspired by the flavours of English gardens and hedgerows. 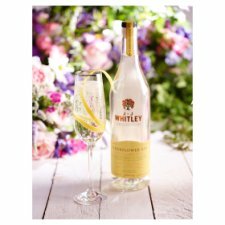 Perfect serve: 35ml J.J. Whitley Elderflower Gin, 90ml dry sparkling wine, lemon zest. 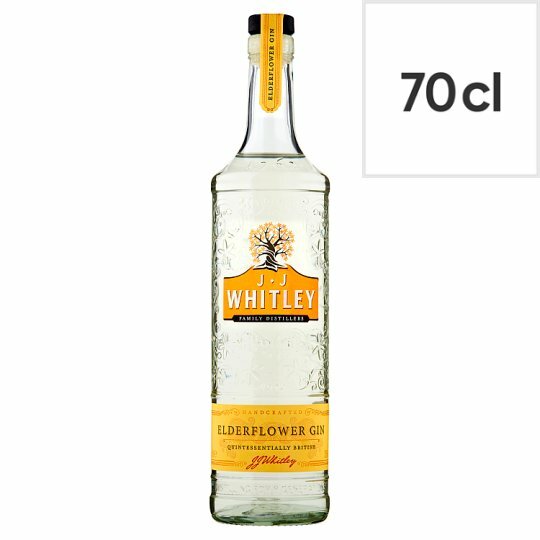 Fill a flute with 35ml J.J. Whitley Elderflower Gin. Top with 90ml dry sparkling wine and garnish with a twist of lemon zest.